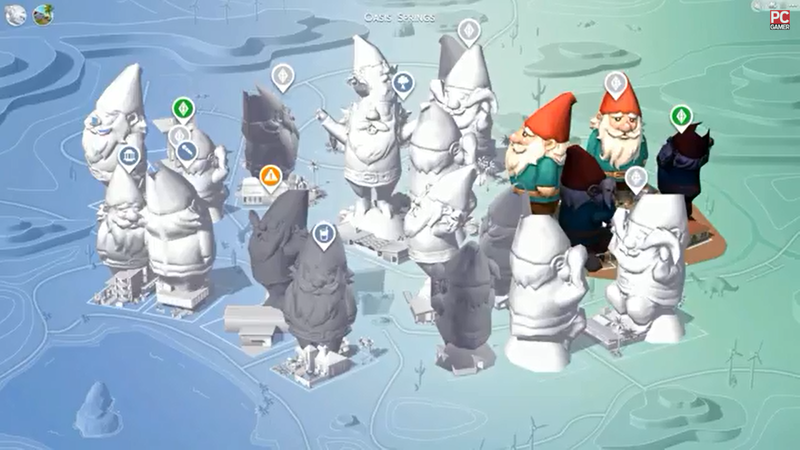 The Sims 4, the newest game released by Electronic Arts to continue the Sims saga is something people having been looking forward to for awhile, but this glitch in the game is one of the greatest I have seen and it makes me want to buy this iconic game. Somehow, PC Gamer writer Tom Mark, found out how to take common items like bookcases and TV or toilets and make them into giant pieces of art! 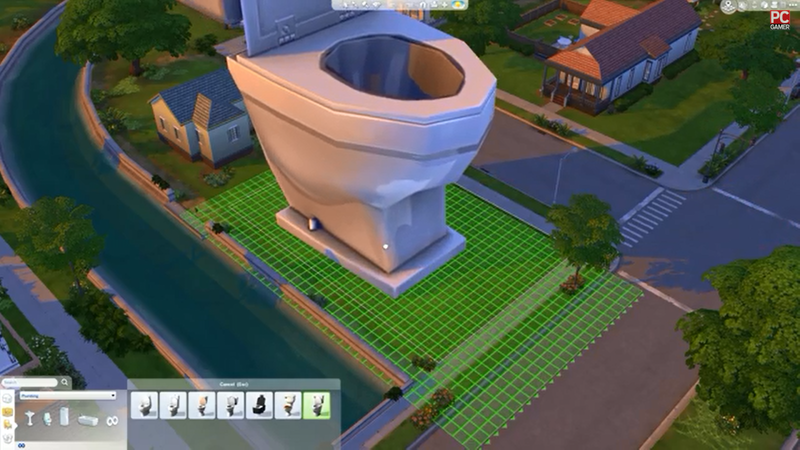 He shows what its like to have a town of mutant toilets and how it over runs the sims into the apocalypse or creating the lovable smurfs as tall as the Empire State Building so they can crush Gargamel once and for all! Now this is what people mean by letting your imagination go wild! See the wonderfulness! You can get The Sims 4 today!